Fifth Harmony just released their new music video for “He Like That” and you need to see it! The ladies – Ally Brooke, Dinah Hansen, Lauren Jauregui and Normani Kordei – show off their super sultry sides in the video for their new single. Not only do the girls show off their incredible dance moves but they also cozy up with some really hot guys! Earlier today, 5H dropped their new self-titled album, so make sure to check that out after watching the video. Fifth Harmony: 'Fifth Harmony' Album Stream & Download - Listen Here! Fifth Harmony‘s new album is finally here!! 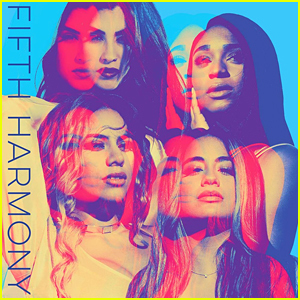 The ladies – including Ally Brooke, Normani Kordei, Dinah Jane, and Lauren Jauregui – just dropped their new self-titled album Fifth Harmony and we can’t stop listening to it! Fifth Harmony is the third studio album the group has released after they released 7/27 last year. It is also the first album Fifth Harmony has released since Camila Cabello left the group. You can download Fifth Harmony‘s new album off of iTunes here. Listen to Fifth Harmony below! Fifth Harmony Debut 'Angel' Music Video - Watch Here! Fifth Harmony have just dropped the official music video for their brand new song “Angel” with absolutely no warning, and you can watch it here now! The clip, directed by David Camarena, sees the group – made up of members Ally Brooke, Dinah Jane, Lauren Jauregui, and Normani Kordei – in a variety of looks while flashing images are displayed throughout. The track, which has not been confirmed to be a single, is the second to be lifted off Fifth Harmony‘s upcoming self-titled album, due out on on August 25th. “Angel” is available along with the iTunes pre-order of Fifth Harmony‘s new album now! Fifth Harmony: 'Angel' Stream, Lyrics & Download - Listen Here! Hot off the heels of their Seventeen magazine Back to School issue cover, Fifth Harmony debut a brand new track called “Angel,” and you can stream it right here! 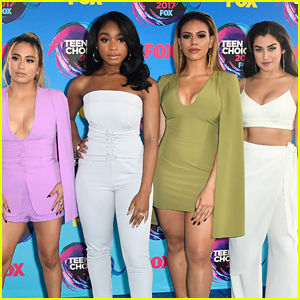 The track is the second to be lifted off the group’s – made up of members Ally Brooke, Dinah Jane, Lauren Jauregui, and Normani Kordei – upcoming self-titled album, which is set to be released on August 25th. It was also recently announced that Fifth Harmony will be hitting the main stage at the 2017 MTV Video Music Awards, which will air live from The Forum on Sunday, August 27. The girls of Fifth Harmony – Normani Kordei, Lauren Jauregui, Dinah Jane, and Ally Brooke – pose for the cover of Seventeen magazine‘s Back to School issue for September/October 2017, on newsstands August 15. 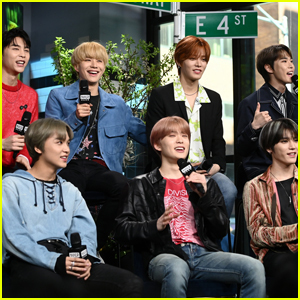 For more from the group, visit Seventeen.com!